1337 3310 tool demo video and sources online! The first prototype of the device is finally completed! Here’s a brief recap of what have been done and what’s planned for the future. – I’m working on a better, more powerful version of the device using the Teensy, with Bluetooth 4.0 smartwatch functions. 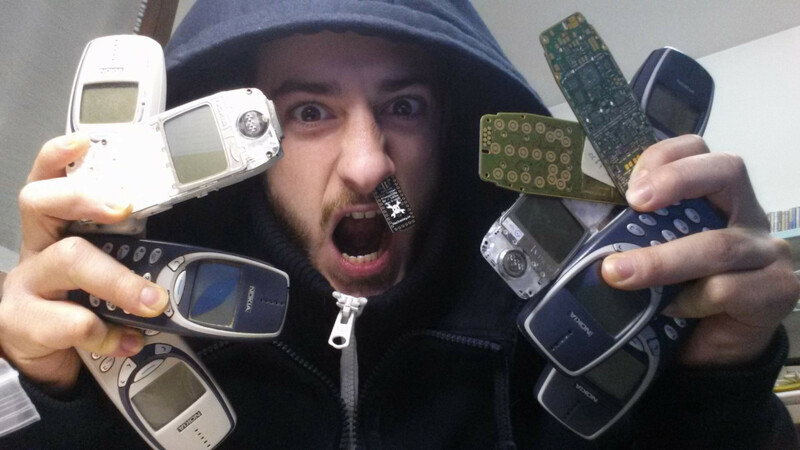 – There’s now an Open Hardware Eagle library to replicate the Nokia 3310 PCB! – There’s a bit of noise in the input stage. That is due mostly to the long routing of the signals, as some components like the Trinket, the button pads and the backlight LEDs can’t be moved around to optimize the board. Previous Post1337 c0nn3kt0r sk1llzNext PostI won!